Honours Bachelors of Science, University of Toronto, 2011. Juris Doctor, University of Windsor, 2014. Alex practices in Civil Litigation with an emphasis on subrogation, product liability, property damage, and personal injury matters. Prior to joining Mason Caplan Roti LLP, Alex articled and practiced for four years at a large plaintiff personal injury law firm where he had independent carriage of motor vehicle accident, personal injury, and long-term disability files. During this time, he appeared before the Superior Court of Justice, Ontario Court of Justice, and Small Claims Court on numerous occasions. 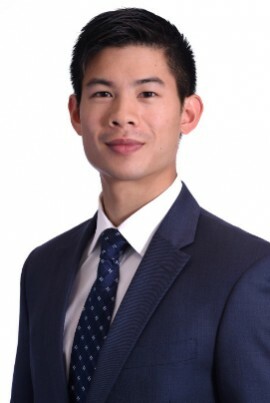 Alex obtained his law degree from the University of Windsor where he fostered his advocacy skills through various moots, as the Legal Consultant to the Odette Investment Counsel, and as a panelist and Head Coordinator of the Student Conduct Board. Alex was also a member of Pro Bono Students Canada and a volunteer with the External Outreach program tutoring disadvantaged youth on a weekly basis. Alex graduated With Distinction from the University of Toronto with an Honours Bachelor of Science in Criminology and Psychology, before pursuing his Juris Doctor degree from the University of Windsor.